It’s crunch time. The final registration price hike will take place Feb. 7. That means you have less than three weeks left to take advantage of this low cost! 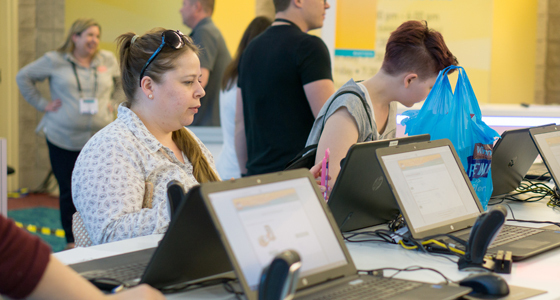 By registering online ahead of time, you’ll have more time to spend on the Expo floor and in sessions and less time at the registration desk on site. We can’t think of a reason NOT to register now. Want to skip the rest of the article and register now? We understand, click here. If not, let us try and convince you further. Have dinner at one of the many dining options surrounding the Kentucky International Convention Center with a group of fellow attendees. With options for all diets and taste buds, there’s something great cooking up on every corner. Don’t forget the Kentucky bourbon! Who can say no to a brand new book? The USITT bookstore will be satiated with books, t-shirts, hoodies, bags, and more all waiting to be sported. Support your love for USITT as well as our member authors whose books will fill the shelves. Experience the tactile side of USITT19 by registering for an extra-cost PDW. There are still many intensives to choose from. But don’t wait, as they fill quickly. 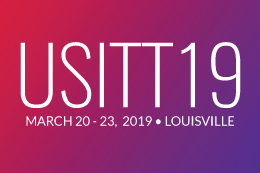 Register for USITT19 and a PDW at the same time, making the process as simple as can be. C’mon, you know you want that Louisville sweatshirt and coffee mug from the airport gift shop. Register today. Both you and your wallet will be happy you did.